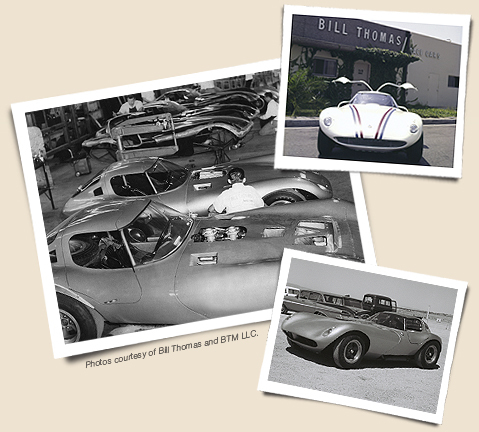 In the 60s, it was Chevrolet's idea - and Bill Thomas' dream - to create a car that would challenge the Cobra. The result? The awe-inspiring Cheetah, born of vision and guts and a commitment to build a car that would shatter track records along with the Cobra's dominance. With storied race-car builders Don Edmunds and Don Borth, Bill Thomas built a car that in turn built a new story of speed. 185 mph at RoadAmerica. 215 mph at Daytona. Despite the small staff producing the car, the Cheetah, boasting shockingly good looks and unheard-of performance, developed a fanatical following. It didn't just turn heads at tracks: the street version brought envy to every neighborhood it called home. But sadly, it wasn't meant to be: Chevy pulled its support and, in a twist of unfriendly fate, fire destroyed the Cheetah factory. The dream ended, but the haunting question remained: What might have been?